We all need how to make an apple dumpling recipe. It is the most memorable dessert I can think of as a child. Most of our desserts did include some type of fruit. They were always locally grown fruit. With the exception of peaches, when in season, we always had apples. Our apple deserts were everything from baked, fried, steamed to apple pies or apple dumplings. 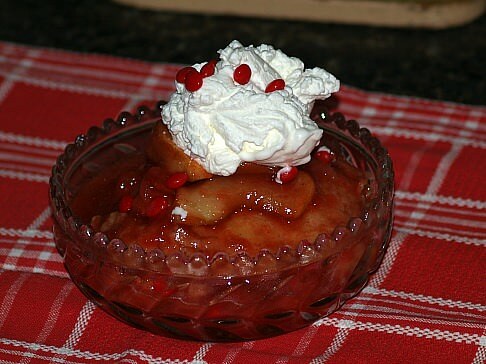 When you learn how to make an apple dumpling recipe, you will find that you can use most of the cooking apples. I have also used some of the eating varieties with good results. Aside from using different ingredients, there are a couple of different ways to make apple dumplings. Most people that I know prefer to either thinly slice or dice the fresh apples before wrapping in dough to bake. If you are one like me who prefer the fresh taste of fruit rather than a sweeter taste of sugar, you may prefer to peel and core the apple, then wrap the whole apple in the dough. Place the flour and salt in a bowl; cut the shortening into the flour with a pastry cutter until mixture is crumbly. Beat yolks lightly in a large measuring cup; add vinegar and enough ice water to make 1 cup. Add egg mixture in with the flour and mix until blended. Turn out onto a floured board and divide into 9 equal parts. Roll each piece to 8 or 9 inch diameter. Combine the sugar, butter, water and red hot cinnamon candies in a saucepan. Peel apples and slice into thin slices. Mix sugar and cinnamon in a small bowl; divide apples into 9 equal portions. Place each portion of apples on each rolled pastry dough. Sprinkle 1 tablespoon of the cinnamon sugar mixture over the apples. Bring pastry up and fold over the apples; place in a large greased casserole baking dish. 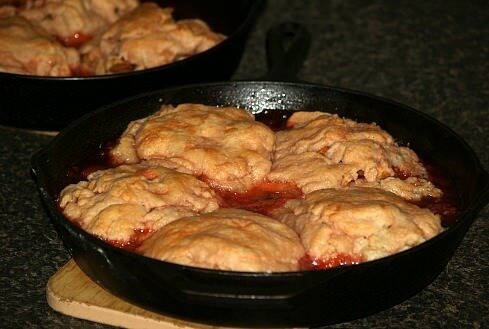 After preparing all 9 of the apple dumpling recipe, pour the hot cinnamon syrup recipe around the dumplings. Bake about 35 minutes or until the dumplings are golden brown. Spoon hot cinnamon syrup from pan over dumplings to serve. Sift together flour, baking powder and salt; cut in shortening, add milk and mix to a smooth dough. Turn dough onto a floured board and divide into 6 parts. Roll each portion large enough to cover 1 whole apple. Combine cinnamon and sugar (Sometimes I add few raisins). Place an apple on each piece of pastry; spoon cinnamon mixture into each core cavity. Moisten edges of pastry; bring up over apple and seal edges. Combine salt, flour and baking powder; cut in shortening. Blend in milk; divide dough into 6 balls and roll out dough into circles. Place 1 cup chopped apples on each circle of dough. Press dough together sealing in apples; bake until apples are tender (about 30 minutes) and serve with sauce. Combine and cook ingredients about 5 to 7 minutes or until sugar dissolves; serve over hot apple dumplings. Combine flour, baking powder and salt in a large mixing bowl; cut in butter until like crumbly meal. Gradually add milk to make soft dough; roll out to ¼ inch thickness rectangle on floured board. Brush dough with melted butter, sprinkle with cinnamon and brown sugar. Spread diced apples over dough; roll up jelly roll style lengthwise. Cut roll into 10 slices; place slices flat in a greased 9 X 13 inch baking pan. Bake for 30 minutes; pour following sauce over the dumplings and continue baking 20 more minutes. Combine all ingredients in saucepan over medium heat; bring to a boil while stirring for 2 minutes.